How Much Does it Cost To Fly To Houston? The cheapest flights to Houston found within the past 7 days were $97. Prices and availability subject to change. Additional terms may apply. Like the Space Shuttle coming in for a landing, Houston plane tickets take travelers into an international headquarters for aeronautics and space exploration. The largest city in Texas is recognized worldwide as an important business hub, and travelers in ties will find all the amenities they want here. However, leisure travelers find even more to love in Houston, a town home not only to big hair and big hats, but most importantly, big hearts. You’ll find the cheapest flights to Houston right here on Travelocity, so you can maximize your vacation budget and experience every museum, ballpark, and art gallery on your list. It’s time to get going! Flights to Houston will touch down at either the William P. Hobby Airport (HOU) or George Bush Intercontinental Airport (IAH). Where should you choose? HOU airport is located about 12 miles southeast of the city centre, while IAH is about 20 miles north, so it may be as simple as knowing your final destination. No matter where your Houston flight lands, you can rest assured that you will find top amenities at both of these Houston-area airports. Wait, do you hear that? It’s the soft strands of a live orchestra wafting into your ears, and it’s part of the Harmony in the Air performing arts program that takes place at both airports. As you appreciate the notes of classical and jazz music, you can also admire local art, as the Houston Airport System is actually home to one of the biggest art collections in Texas. Yes, these are just a few ways that Houston proves to all who visit that it is a cultural mecca worthy of pilgrimage. Houston airfare will get you here, and from there you can count on Texas-sized infrastructure to get you to your accommodation and around the city. From IAH, Metro Bus Route 102 will drop you off at the Downtown Transit Center station, where you can connect with the light rail or take a taxi to your final destination. Pre-booked shuttles, whether through your hotel or otherwise, are another affordable way to get downtown from IAH. Hailing a taxi is always convenient, but can be pricy from this airport. Metro Bus Route 40 is the friend of public transit-takers from HOU airport, stopping at Downtown Transit Center station and the Convention Center. Shuttles and taxis are faster options for getting to your hotel, and the expense is more reasonable than from IAH. From either airport, the fastest method of all is a rental car of your own. Book through Travelocity and you will be all set as soon as you arrive. Hilton Americas—Houston has a name that is reassuring to any guest, and the fact that it is connected to the George R. Brown Convention Center and features optional executive suites will be especially comforting to business travelers. 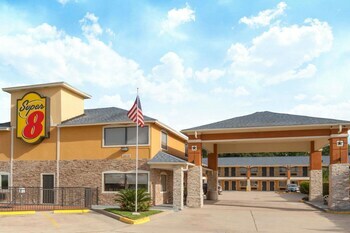 Magnolia Hotel Houston offers a truly central location, just a short walk from the Theater District and Minute Maid Park, plus optional suites with kitchens. Hyatt Regency Houston is home to the city’s first revolving dining room. Enjoy a meal with a view at Spindletop, then shop to your heart’s desire on historic Main Street. 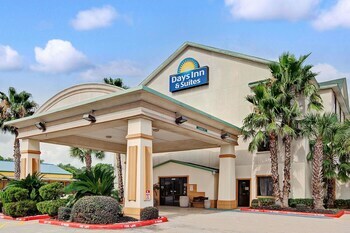 Wyndham Houston Medical Center Hotel and Suites is the ideal choice for those who are making the Houston Zoo, Museum of Natural Science, and Museum of Fine Arts the focal point of their trip. While Houston may make you think of ten-gallon cowboy hats and delectable Tex-Mex, there is much more to this southern city than meets the eye. In fact, the official motto could not be more accurate: the “City with No Limits” truly has something for everyone. You will be able to enjoy everything this treasure of Texas has to offer thanks to Travelocity’s awesome flight deals to Houston, which will save you plenty of cash to spend on piles of nachos and authentic accessories. But the best accessory of all are the memories you will make on this vacation of a lifetime. Question : Where can I find cheap flights to Houston? Answer : We know you’re looking for the best flights at the lowest fares, so we found some of the sweetest deals in town just for you. Check out the top flight deals to Houston. Act quickly and score yourself a bargain! Frontier Airlines has a flight from to Houston departing on 5/4/19 and returning on 5/7/19 all for only $67.00 per person. * Book these Frontier Airlines flights! Spirit Airlines has a flight from to Houston departing on 5/10/19 and returning on 5/14/19 all for only $102.00 per person. * Book these Spirit Airlines flights! Spirit Airlines has a flight from to Houston departing on 4/30/19 and returning on 5/4/19 all for only $105.00 per person. * Book these Spirit Airlines flights! Question : What are the most popular airlines that fly to Houston? American Airlines Flies 858 flights per week between and Houston. Delta Air Lines Flies 824 flights per week between and Houston. United Airlines Flies 554 flights per week between and Houston. 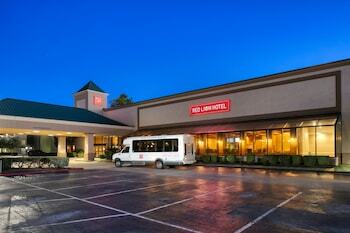 Question : Which hotels are located near airports or major attractions in Houston? Answer : We've put together a list of hotels in Houston close to airports and popular sights to see. Check out the hotels below. 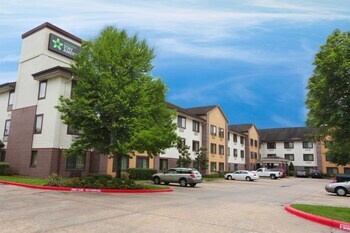 All of them are within proximity to must-see attractions and major airports in and around the city of Houston. 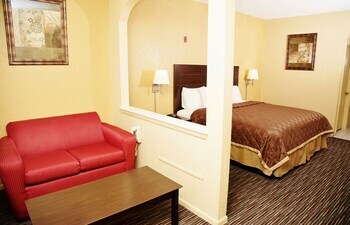 Club Quarters in Houston: Club Quarters is a full-service hotel designed for business travelers, in downtown Houston. A short walk from the Houston Pavilions, the Theater District, nightlife, and museums. 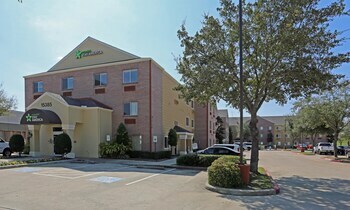 The new sports arenas, convention center, and shops at Houston Center also a This hotel has a 3.50 star rating. Magnolia Hotel Houston: Housed in a 1926 building, this renovated high-rise hotel is in the downtown historic district of Houston, within 8 blocks of theaters, sports arenas, and the George R. Brown Convention Center. 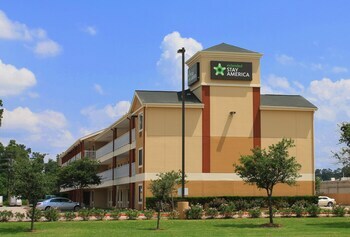 The Galleria Mall, the Minute Maid Park or the Toyota Center This hotel has a 4.00 star rating. 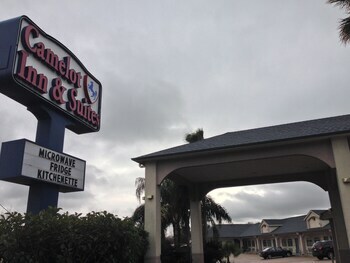 Ramada Houston Intercontinental Airport East: Situated near the airport, this hotel is 2.6 mi (4.1 km) from Humble Civic Center and within 6 mi (10 km) of Cypresswood Golf Club and Humble Oil Patch Golf Center. Kingwood Cove Golf Club and Houston Grand Prix are also within 9 mi (15 km). This hotel has a 3.00 star rating. Hilton Americas - Houston: Attached to the George R Brown convention center by sky bridge, Hilton Americas - Houston is across the street from Toyota Arena and 2 blocks from Minute Maid ballpark and the theater district. This hotel has a 4.00 star rating. Question : What are the top attractions in Houston? Answer : Houston has over 170 points of interest for you to choose from. We suggest checking out Kemah Boardwalk and George R. Brown Convention Center first because they are the most popular attractions in Houston. Don't forget about other highly recommended spots like Sam Houston Race Park, Texas Medical Center, and Toyota Center. Get out there and see what the city has to offer on your trip to Houston! Convenient to shopping and restaurants. Staff very helpful. Room was clean, small cosmetic issues. Wonderful hotel by the Galleria. Staff was very helpful and friendly. Room was a modern classy style. Could not have picked a better hotel for my trip.